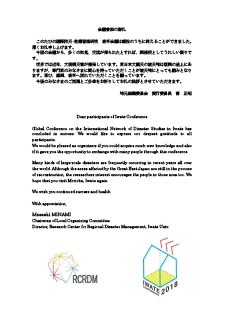 Global Conference on the International Network of Disaster Studies in Iwate, Japan "Iwate Conference"
The Global Conference on the International Network of Disaster Studies in Iwate, Japan “Iwate Conference” has been closed successfully with your kind cooperation. Please find below the acknowledgments from the Conference President and the Chairman of Local Organizing Committee. July. 11, 2018"For Participants" has revised. June. 30, 2018"Excursion" has revised. June. 22, 2018"Program" has revised. June. 7, 2018"Papers for the Proceedings Submission" has started. May. 25, 2018"Excursion Tours Registration" has started. May. 18, 2018"Banquet Registration" has started. May. 1, 2018"Accommodation" has opened. Mar. 19, 2018"Paper Submission" deadline is extended to April 30th. Feb. 1, 2018"Paper Submission" has started. Feb. 1, 2018"Registration" has started. 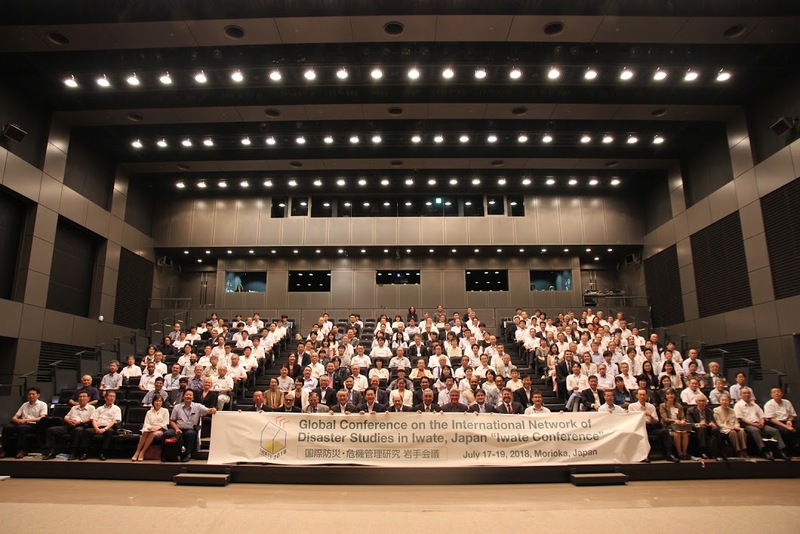 Feb. 1, 2018Global Conference on the International Network of Disaster Studies in Iwate, Japan website is launched.